Having grown up with The Father of the Bride movies, I always dreamt of having a private home wedding and I know I’m not alone. In the end, this type of wedding wasn’t an option for me. But having worked in catering and now as a wedding planner, I have worked with many couples to plan their private home weddings and large special events. If you are even thinking about a private home wedding, there are many considerations to take into account. Do you have an area that is large enough to hold your guests? Most homes cannot accommodate all 100+ wedding guests in the home (and may not even accommodate more than 30 inside the home). 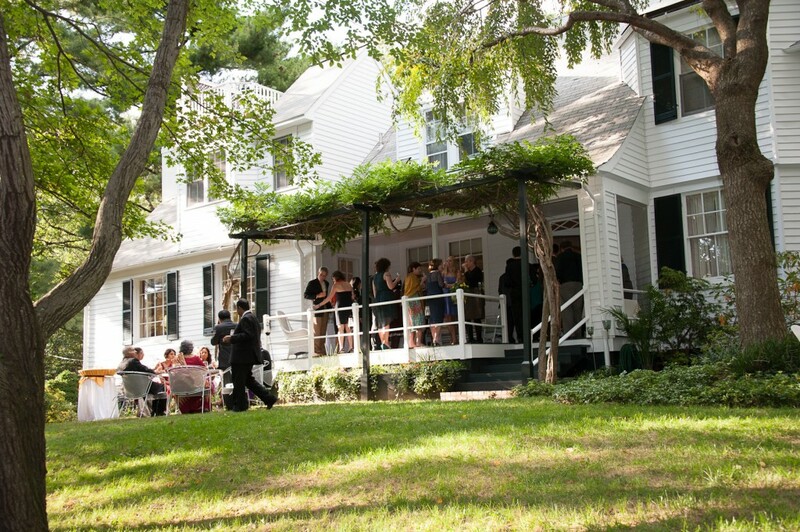 When thinking about the home and outside spaces available, you will also need to consider where you will have the ceremony, cocktail hour, dinner and dancing? Plan to budget for tent and/or multiple tent rentals to cover the spaces you are using. In our area we cannot count on a perfect 70-degree partially cloudy day where everything can be outside and uncovered. Do you have an area where the caterer/vendors can stage and set-up? You will need an area where the caterer can stage and prep for meal service, this may be inside the house, in a garage if available (and big enough) or they may need to tent a separate space for set-up. It is a good idea to have a space for other vendors as well, including your band/DJ, florist, planner, etc. Will guests drive and park or shuttle from a hotel? Most private home properties do not have parking options readily available for more than a couple of cars. If there is a big field available for parking, plan to hire parking attendants to assist with guests parking. Alternatively, look into valet parking if the home is in the city with ample street parking. Finally, a good option may to have all guests meet at the hotel where out-of-towners are staying to shuttle them to and from the home. Make a plan for the necessities: bathrooms, lighting, power and water. You are essentially installing a venue at the private home property, so you’ll need to some take extra steps. Unless you are having a small 30-person affair in your home, you will need to rent a bathroom trailer (about 1 bathroom for every 50 person is recommended). There are great bathroom trailers to rent and you will need to plan on this rental. The bathrooms will need access to power and water. With all of the power needs (bathroom, tent, lighting, band, etc.) you will likely need to rent a generator. The caterer will also need access to water, so make sure their staging area is near a water source. Finally, unless your wedding is ending before sundown, you will need to make sure there is ample lighting where the guests/vendors are, as well as a lighted path to the exit and lighting near the parking area (if applicable). Look into local laws regarding permits. You may need to obtain a permit for a tent and/or “block party”. You will also need to be mindful of any fire codes and noise restrictions in your area. 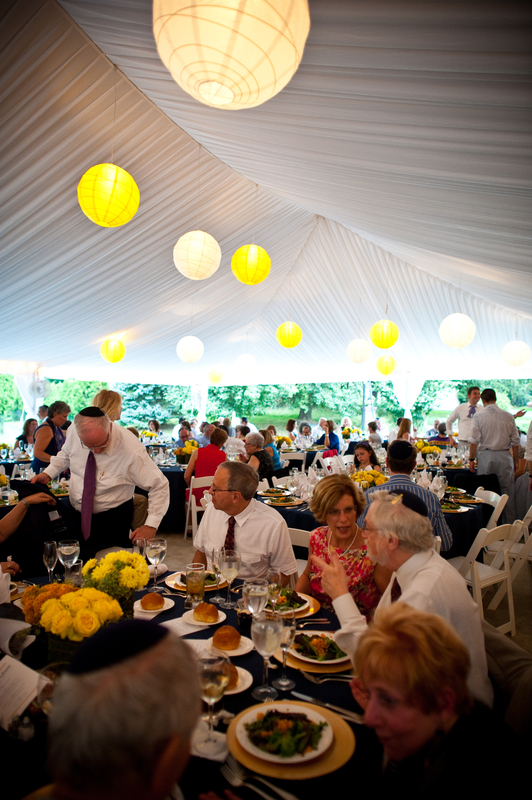 Your home or tent may be subject to inspection by a Fire Marshall before the wedding. If there are homes close to the party, the last thing you want is an unhappy neighbor! Plan to speak with all neighbors ahead of time. Finally, make sure the home is properly insured to cover the event. Cleaning the home before and after. Keep in mind that you will want to clean and/or landscape before the wedding AND you will definitely need to do this after as well. Even if you don’t plan to have guests in your home, you may have the bridal party getting ready, so you will want to hire a professional to clean inside the home and on the property prior to the wedding. Most clients do need to have professional cleaning and landscaping done after as well due to the foot traffic, tent install, etc. after the wedding. Expect that the costs of a private home wedding may be higher than renting venue. After reading the above considerations you may or may not have started to think about all of the costs involved with a private home wedding. Because you are essentially creating a venue at your home a private home wedding can be very expensive. ← Balance Bridal Show Vendor Spotlight: Bright Occasions – That’s Us!